JVC just introduced three new models of their renowned 'Wood' series of IEM. 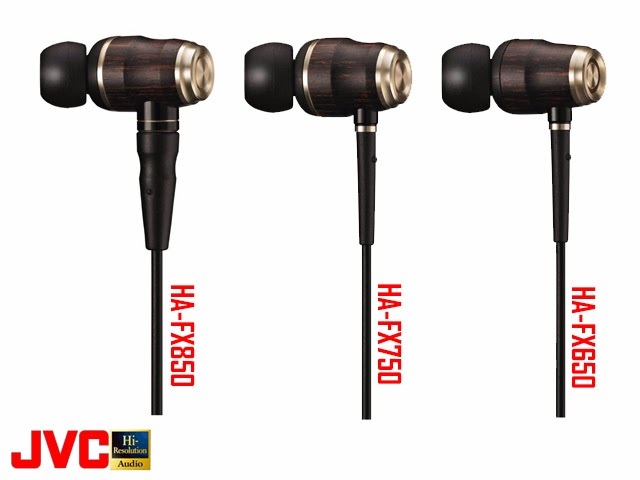 The HA-FX850, FX750 and FX650, respectively feature 11mm. 10mm, and 8.5mm of 'Wood Dome' dynamic transducer and priced around US$400, US$300 and US$200. They will all hit the market before the end of February, but most likely limited to Japan.